Folk music, in the original sense of the term, is music by and for the common people. Folk music arose, and best survives, in societies not yet affected by mass communication and the commercialization of culture. It normally was shared by the entire community (and its performance not strictly limited to a special class of expert performers), and was transmitted by word of mouth. During the 20th and 21st centuries, folk music took on a second meaning: it describes a particular kind of popular music which is culturally descended from or otherwise influenced by traditional folk music. Like other popular music, this kind of folk music is most often performed by experts and is transmitted in organized performances and commercially distributed recordings. However, popular music has filled some of the roles and purposes of the folk music it has replaced. Folk music is somewhat synonymous with traditional music. Both terms are used semi-interchangeably amongst the general population; however, some musical communities that actively play living folkloric musics (see Irish traditional music and Traditional Filipino music for specific examples), have adopted the term traditional music as a means of distinguishing their music from the popular music called "folk music," especially the post-1960s " singer-songwriter" genre. See also: World music. "Folk song is usually seen as the authentic expression of a way of life now, past or about to disappear (or in some cases, to be preserved or somehow revived). Unfortunately, despite the assembly of an enormous body of work over some two centuries, there is still no unanimity on what folk music (or folklore, or the folk) 'is'" (p.127). Gene Shay, co-founder and host of the Philadelphia Folk Festival, defined folk music in an April 2003 interview by saying: "In the strictest sense, it's music that is rarely written for profit. It's music that has endured and been passed down by oral tradition. [...] And folk music is participatory—you don't have to be a great musician to be a folk singer. [...] And finally, it brings a sense of community. It's the people's music." The English term folk, which gained usage in the 18th century (during the Romantic period) to refer to peasants or non-literate peoples, is related to the German word Volk (meaning people or nation). The term is used to emphasize that folk music emerges spontaneously from communities of ordinary people. "As the complexity of social stratification and interaction became clearer and increased, various conditioning criteria, such as 'continuity', 'tradition', 'oral transmission', 'anonymity' and uncommercial origins, became more important than simple social categories themselves." A "schema comprising four musical types: 'primitive' or 'tribal'; 'elite' or 'art'; 'folk'; and 'popular'. Usually...folk music is associated with a lower class in societies which are culturally and socially stratified, that is, which have developed an elite, and possibly also a popular, musical culture." Cecil Sharp (1972), A.L. Lloyd (). David Harker (1985) argues that "folk music" is, in Peter van der Merwe's words, "a meaningless term invented by 'bourgeois' commentators". Jazz musician Louis Armstrong and blues musician Big Bill Broonzy have both been attributed the remark "All music is folk music. I ain't never heard a horse sing a song." Apart from instrumental music that forms a part of folk music, especially dance music traditions, much folk music is vocal music, since the instrument that makes such music is usually handy. As such, most folk music has lyrics, and is about something. Narrative verse looms large in the folk music of many cultures. This encompasses such forms as traditional epic poetry, much of which was meant originally for oral performance, sometimes accompanied by instruments. Many epic poems of various cultures were pieced together from shorter pieces of traditional narrative verse, which explains their episodic structure and often their in medias res plot developments. Other forms of traditional narrative verse relate the outcomes of battles and other tragedies or natural disasters. Sometimes, as in the triumphant Song of Deborah found in the Biblical Book of Judges, these songs celebrate victory. Laments for lost battles and wars, and the lives lost in them, are equally prominent in many folk traditions; these laments keep alive the cause for which the battle was fought. The narratives of folk songs often also remember folk heroes such as John Henry to Robin Hood. Some folk song narratives recall supernatural events or mysterious deaths. Hymns and other forms of religious music are often of traditional and unknown origin. Western musical notation was originally created to preserve the lines of Gregorian chant, which before its invention was taught as an oral tradition in monastic communities. Folk songs such as Green grow the rushes, O present religious lore in a mnemonic form. In the Western world, Christmas carols and other traditional songs preserve religious lore in song form. Other sorts of folk songs are less exalted. Work songs are composed; they frequently feature call and response structures, and are designed to enable the labourers who sing them to coordinate their efforts in accordance with the rhythms of the songs. In the American armed forces, a lively tradition of jody calls ("Duckworth chants") are sung while soldiers are on the march. Professional sailors made use of a large body of sea shanties. Love poetry, often of a tragic or regretful nature, prominently figures in many folk traditions. Nursery rhymes and nonsense verse also are frequent subjects of folk songs. Music transmitted by word of mouth though a community will, in time, develop many variants, because this kind of transmission cannot produce word-for-word and note-for-note accuracy. Indeed, many traditional folk singers are quite creative and deliberately modify the material they learn. Because variants proliferate naturally, it is naïve to believe that there is such a thing as the single "authentic" version of a ballad such as " Barbara Allen." Field researchers in folk song (see below) have encountered countless versions of this ballad throughout the English-speaking world, and these versions often differ greatly from each other. None can reliably claim to be the original, and it is quite possible that whatever the "original" was, it ceased to be sung centuries ago. Any version can lay an equal claim to authenticity, so long as it is truly from a traditional folksinging community and not the work of an outside editor. Cecil Sharp had an influential idea about the process of folk variation: he felt that the competing variants of a folk song would undergo a process akin to biological natural selection: only those new variants that were the most appealing to ordinary singers would be picked up by others and transmitted onward in time. Thus, over time we would expect each folksong to become esthetically ever more appealing — it would be collectively composed to perfection, as it were, by the community. On the other hand, there is also evidence to support the view that transmission of folk songs can be rather sloppy. Occasionally, collected folk song versions include material or verses incorporated from different songs that makes little sense in its context. Folk music seems to reflect a universal impulse of humanity. No fieldwork expedition by cultural anthropologists has yet discovered a preindustrial people that did not have its own folk music. It seems safe to infer that folk music was a property of all people starting from the dawn of the species. However, the development of modern society--first literacy, then the conversion of culture into a salable commodity--created a new form of transmission of music that first influenced, then in some societies essentially eliminated the original folk tradition. The decline of folk music in a culture can be followed through three stages. One of the first folk traditions impacted by modern society was the folksong of rural England. Starting in Elizabethan times, urban poets wrote broadsheet ballads that (thanks to printing) could be sold widely. The ballads probably didn't need musical notation, since they would have been sung to tunes that everybody knew, the folk tradition being very much alive at the time. These ballads heavily influenced the folk tradition, but did not override it. In fact, the folk tradition showed great resilience. Through the process of folk transmission, the urban ballads were modified, keeping the more vivid content and ironing out the less "citified" material. The resulting body of folk lyrics is widely considered to be a very appealing blend. Thus, the printing press and widespread literacy did not suffice to destroy the English folk tradition, but in some ways enriched it. The English folk song legacy was probably affected by urban melodies as well as words. The clue here is that folk music in remote rural areas of the English-speaking world, such as Highland Scotland or the Appalachian mountains, abounds in tunes that employ the pentatonic scale, a scale widely used for folk music around the world. However, pentatonic music was rare among the rural English villagers who first volunteered their tunes to researchers in the late 19th century. A plausible explanation is that life in rural England was far more closely affected by the proximity to the urban centers. Music in the standard major and minor scales evidently penetrated to the nearby rural areas, where it was converted to folk idiom, but nevertheless succeeded in displacing the old pentatonic music. The pattern of urban influence on folk music was intensified to outright destruction as soon as the capitalist economic system had developed to the point that music could be packaged and distributed for the purpose of earning a profit--in other words, when popular music was born. It was around Victorian times that ordinary people of the Western world were first offered music as a mass commodity, for example, in the phenomenon of music hall. The introduction of popular music was simultaneous with the latter part of the Industrial Revolution. This was a time of great change in lifestyle for the great body of the people, notably the migration of the old agrarian communities to the new industrial ones. It is likely that the resulting social disruption helped cut people's emotional bonds to their old folk music, and thereby helped the shift in taste toward popular music. As technology advanced, succeeding generations became enticed with popular music in ever more accessible and desirable forms. Gramophone records became LPs and then CDs; the music hall gave way to radio, followed by television. With the ever-increasing success of popular music, the musical life of many individuals eventually ceased to include any folk music at all. Moreover, since popular music for most people is passive music (that is, listened to, but not created or performed), the overwhelming success of popular music also entailed a sharp decline of music as an active, participatory activity. The terminal state of the loss of folk music can be seen in the United States, as well as across the globe thanks to the digital revolution where even in "isolated" indigenous communities traditional folk music is now threatened. 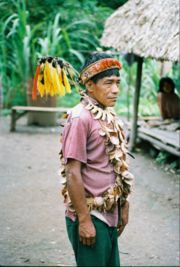 Inability to sing is apparently unusual in so called traditional societies, such as the Urarina of the Peruvian Amazon. Among the Urarina, one notes that the customary practice of singing folk songs, shamanic chants and myths begins in early childhood . This in turn democratizes musical expression, and as such everyone gets the practice needed to be able to sing at least reasonably well. In the absence of traditional or folk music, many indigenous individuals do not sing. In some instances, it is possible that non-singers feel intimidated by their widespread exposure to recordings and broadcasting of singing by skilled experts. Another possibility is that they simply cannot sing, because they did not learn to sing when they were small children, the time that learning of cultral orality takes place most effectively. As recently as the 1960s audiences at U.S. sporting events collectively sang the American national anthem before a game; the anthem is now typically performed by a recording or a soloist. The loss of folk music is occurring at different rates in different regions of the world. Naturally, where industrialization and commercialization of culture are most advanced, so tends to be the loss of folk music. 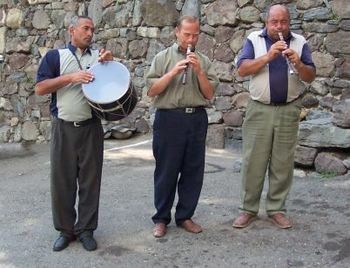 Yet in nations or regions where folk music is a badge of cultural or national identity, the loss of folk music can be slowed; this is held to be true, for instance in the case of Bangladesh, Hungary, India, Ireland, Turkey, Brittany, and Galicia, Greece and Crete all of which retain their traditional music to some degree, in some such areas the decline of folk music and loss of traditions has been reversed such as Cornwall. Starting in the 19th century, interested people - academics and amateur scholars - started to take note of what was being lost, and there grew various efforts aimed at preserving the music of the people. One such effort was the collection by Francis James Child in the late 19th century of the texts of over three hundred ballads in the English and Scots traditions (called the Child Ballads). Contemporaneously came the Reverend Sabine Baring-Gould, and later and more significantly Cecil Sharp who worked in the early 20th century to preserve a great body of English rural folk song, music and dance, under the aegis of what became and remains the English Folk Dance and Song Society (EFDSS). Sharp also worked in America, recording the folk songs of the Appalachian Mountains in 1916-1918 in collaboration with Maud Karpeles and Olive Dame Campbell. Around this time, composers of classical music developed a strong interest in folk song collecting, and a number of outstanding composers carried out their own field work on folk song. These included Percy Grainger and Ralph Vaughan Williams in England and Béla Bartók in Hungary. These composers, like many of their predecessors, incorporated folk material into their classical compositions. In America, during the 1930s and 1940s, the Library of Congress worked through the offices of musicologist Alan Lomax and others to capture as much American field material as possible. People who studied folk song sometimes hoped that their work would restore folk music to the people. For instance, Cecil Sharp campaigned, with some success, to have English folk songs (in his own heavily edited and expurgated versions) to be taught to schoolchildren. The folk revival of the 1950s in Britain and America had something of this character. In 1950 Alan Lomax came to Britain, where at a Working Men's Club in the remote County Durham mining village of Tow Law he met two other seminal figures: A.L. 'Bert' Lloyd and Ewan MacColl, who were performing folk music to the locals there. Lloyd was a colourful figure who had travelled the world and worked at such varied occupations as sheep-shearer in Australia and shanty-man on a whaling ship. MacColl, born in Salford of Scottish parents, was a brilliant playwright and songwriter who had been strongly politicised by his earlier life. MacColl had also learned a large body of Scottish traditional songs from his mother. The meeting of MacColl and Lloyd with Lomax is credited with being the point at which the British roots revival began. The two colleagues went back to London where they formed the Ballads and Blues Club which eventually became renamed the Singers' Club and was the first, as well as the most enduring, of what became known as folk clubs. As the 1950s progressed into the 1960s, the folk revival movement built up in both Britain and America. We must mention too Brittany's Folk revival beginning in the 50s with the "bagadoù" and the "kan-ha-diskan" before growing to world fame through Alan Stivell 's work since the mid 60s. Another example is the Hungarian model, the tanchaz movement. This model involves strong cooperation between musicology experts and enthusiastic amateurs, resulting in a strong vocational foundation and a very high professional level. They also had the advantage that rich, living traditions of Hungarian folk music and folk culture still survived in rural areas, especially in Transylvania. The involvement of experts meant an effort to understand and revive folk traditions in their full complexity. Music, dance, and costumes remained together as they once had been in the rural communities: rather than merely reviving folk music, the movement revived broader folk traditions. Started in the 1970s, tanchaz soon became a massive movement creating an alternative leisure activity for youths apart from discos and music clubs—or one could say that it created a new kind of music club. The tanchaz movement spread to ethnic Hungarian communities around the world. Today, almost every major city in the U.S. and Australia has its own Hungarian folk music and folk dance group; there are also groups in Japan, Hong Kong, Argentina and Western Europe. See also: blues, Harry Everett Smith. The rise of folk music as a popular genre began with performers whose own lives were rooted in the authentic folk tradition. Thus, for example, Woody Guthrie began by singing songs he remembered his mother singing to him as a child. Later, in the 1930s and 1940s, Guthrie both collected folk music and also composed his own songs, as did Pete Seeger, who was the son of a professional musicologist. Through dissemination on commercial recordings, this vein of music became popular in the United States during the 1950s, through singers like the Weavers (Seeger's group), Burl Ives, The Limeliters, Harry Belafonte and the Kingston Trio, who tried to reproduce and honour the work that had been collected in preceding decades. The commercial popularity of such performers probably peaked in the U.S. with the ABC Hootenanny television series in 1963, which was cancelled after the arrival of the Beatles, the "British invasion" and the rise of folk rock. The itinerant folksinger lifestyle was exemplified by Ramblin' Jack Elliott, a disciple of Woody Guthrie who in turn influenced Bob Dylan. Sometimes these performers would locate scholarly work in libraries and revive the songs in their recordings, for example in Joan Baez's rendition of "Henry Martin," which adds a guitar accompaniment to a version collected and edited by Cecil Sharp. Publications like Sing Out! magazine helped spread both traditional and composed songs, as did folk-revival-oriented record companies. Many of this group of popular folk singers maintained an idealistic, leftist/progressive political orientation. This is perhaps not surprising. Folk music is easily identified with the ordinary working people who created it, and preserving treasured things against the claimed relentless encroachments of capitalism is likewise a goal of many politically progressive people. Thus, in the 1960s such singers as Joan Baez, Phil Ochs and Bob Dylan followed in Guthrie's footsteps and to begin writing " protest music" and topical songs, particularly against the Vietnam War, and likewise expressed in song their support for the American Civil Rights Movement. The influential Welsh-language singer-songwriter, Dafydd Iwan, may also be mentioned as a similar example operating in a different cultural context. Some critics, especially proponents of the ethnocentric Neofolk genre, claim that this type of American 'progressive' folk is not folk music at all, but 'antifolk'. This is based on the idea that as liberal politics supposedly eschews the importance of ethnicity, it is incompatible with all folkish traditions. Proponents of this view often cite romantic nationalism as the only political tradition that 'fits' with folk music. In Ireland, The Clancy Brothers & Tommy Makem (although the members were all Irish born, the group became famous while based in New York's Greenwich Village, it must be noted), The Dubliners, Clannad, Planxty, The Chieftains, The Pogues and a variety of other folk bands have done much over recent years to revitalise and repopularise Irish traditional music. These bands were rooted, to a greater or lesser extent, in a living tradition of Irish music, and they benefitted from collection efforts on the part of the likes of Seamus Ennis and Peter Kennedy, among others. In Britain, the folk revival didn’t create any popular stars (although Ewan MacColl’s “The First Time Ever I Saw Your Face” would eventually prove to be a hit for other artists), but it helped raise the profile of the music, and folk clubs sprang up all over, a boon to young artists like Martin Carthy and Roy Bailey who emerged. It also inspired a generation of singer-songwriters, such as Ralph McTell (whose “Streets Of London” would become a hit), Donovan, Roy Harper and many others. Bob Dylan came to London to check out the growing folk scene of the early 1960s, and Paul Simon spent several months there; his version of “Scarborough Fair” owed a lot to Carthy’s take on the song. Folk didn’t hit any kind of mass popularity until the electric folk movement of Fairport Convention and Steeleye Span took old songs and mixed their tunes with rock. Both bands had hit singles and albums that sold well, bringing a new audience to traditional music. However, it wasn’t until the second half of the 1990s that folk music began to make even a small impact on mainstream music. A new generation had emerged, in some cases children of revival-inspired artists ( Eliza Carthy, for example, is the daughter of Martin Carthy and Norma Waterson). This time, notably, the instrumentation was largely acoustic, rather than electric, and the skill level of players and singers extremely high. As the number of summer folk festivals increased, so more talented performers have come in, and folk music has found at least a toehold in the mainstream with artists like Kate Rusby and Spiers and Boden featured in the press. In Hungary, the group Muzsikás and the singer Márta Sebestyén became known throughout the world due to their numerous American tours and their participation in the Hollywood movie The English Patient and Sebestyén's work with the Deep Forest band. The experience of the last century suggests that as soon as a folk tradition comes to be marketed as popular music, its musical content will quickly be modified to become more like popular music. Such modified folk music often incorporates electric guitars, drum kit, or forms of rhythmic syncopation that are characteristic of popular music but were absent in the original. As less traditional forms of folk music gain popularity, one often observes tension between so-called "purists" or "traditionalists" and the innovators. For example, traditionalists were indignant when Bob Dylan began to use an electric guitar. His electrified performance at the 1965 Newport Folk Festival was to prove to be an early focal point for this controversy. Sometimes, however, the exponents of amplified music were bands such as Fairport Convention, Pentangle, Mr. Fox and Steeleye Span who saw the electrification of traditional musical forms as a means to reach a far wider audience, and their efforts have been largely recognised for what they were by even some of the most die-hard of purists. Traditional folk music forms also merged with rock and roll to form the hybrid generally known as folk rock which evolved through performers such as The Byrds, Simon and Garfunkel, The Mamas and the Papas. Outside the English-speaking world, the Breton artist Alan Stivell (a Celtic harpist, multi-instrumentist and singer) has also fused folk music with rock and other influences. His tours and records since the mid-1960s have also influenced the work of many musicians everywhere. Since the 1970s a genre of "contemporary folk", fuelled by new singer-songwriters, has continued to make the coffee-house circuit and keep the tradition of acoustic non-classical music alive in the United States. Such artists include Steve Goodman, John Prine, Cheryl Wheeler, Bill Morrissey, and Christine Lavin. Lavin in particular has become prominent as a leading promoter of this musical genre in recent years. Some, such as Lavin and Wheeler, inject a great deal of humor in their songs and performances, although much of their music is also deeply personal and sometimes satirical. While from Ireland The Pogues and The Corrs brought traditional tunes back into the album charts. In the 1980s a group of artists like Phranc and The Knitters propagated a form of folk music also called country punk or folk punk, which eventually evolved into Alt country. More recently the same spirit has been embraced and expanded on by performers such as Dave Alvin, Ani DiFranco, and Steve Earle. At the same time, a line of singers from Baez to Phil Ochs have continued to use traditional forms for original material. The appropriation of folk has even continued into hard rock and heavy metal, with bands such as Skyclad, Waylander and Finntroll melding distinctive elements of folk styles from a wide variety of traditions, including in many cases traditional instruments such as fiddles, tin whistles and bagpipes as an element of their sound. Unlike other folk-related genres, folk metal shies away from monotheistic religion in favour of more ancient pagan inspired themes. One of the more unusual offshoots of modern folk music is the genre now known as filk, a form of music defined primarily by who its audience is. Another trend is "antifolk," begun in New York City in the 1980s by Lach in response to the confines traditional folk music. It now has a home at the Antihootenany in the East Village, where artists like Beck, the Moldy Peaches and Nellie McKay got their starts, and artists such as Robin Aigner 's, Roger Manning, Royal Pine , Matt Singer , Phoebe Kreutz and Curtis Eller continue to push the envelope of "folk." Folk music is still extremely popular among some audiences today, with folk music clubs meeting to share traditional-style songs, and there are major folk music festivals in many countries, eg the Port Fairy Folk Festival is a major annual event in Australia attracting top international folk performers as well as many local artists. Indeed, even for those who consider themselves hip, the arrival of Americana and the music of Bonnie "Prince" Billy, Devendra Banhart and Travis MacRae has shown that Folk Music can still be cutting edge. The Cambridge Folk Festival in Cambridge, England is always sold out within days, and is noted for having a very wide definition of who can be invited as folk musicians. The "club tents" allow attendees to discover large numbers of unknown artists, who, for ten or fifteen minutes each, present their work to the festival audience. Popular culture sometimes creates pastiches of folk music for its own ends. One famous example is the pseudo-ballad sung about brave Sir Robin in the film Monty Python and the Holy Grail. Enthusiasts for folk music might properly consider this song to be pastiche and not parody, because the tune is pleasant and far from inept, and the topic being lampooned is not balladry but the medieval heroic tradition. The arch-shaped melodic form of this song (first and last lines low in pitch, middle lines high) is characteristic of traditional English folk music. A more recent similarly incisive send-up of folk music, this time American in origin, is the film A Mighty Wind by Christopher Guest and Eugene Levy. Folk music is easy to parody because it is, at present, a popular music genre that relies on a traditional music genre. As such, it is likely to lack the sophistication and glamour that attach to other forms of popular music. Folk music satire ranges from the worst excesses of Rambling Syd Rumpo and Bill Oddie to the deft and subtle artistry of Sid Kipper, Eric Idle and Tom Lehrer. Even "serious" folk musicians are not averse to poking fun at the form from time to time, for example Martin Carthy's devastating rendition of "All the Hard Cheese of Old England" (written by Les Barker), to the tune of "All the Hard Times of Old England", Robb Johnson's "Lack of Jolly Ploughboy," and more recently "I'm Sending an E-mail to Santa" by the Yorkshire-based harmony group Artisan. Other musicians have been known to take the tune of a traditional folk song and add their own words, often humorous, or on a similar-sounding yet different subject; these include The Wurzels, The Incredible Dr. Busker and The Mrs Ackroyd Band. Filk music is a closely related musical genre which originated as parodies of folk songs, and parody remains a dominant theme of the style. It is evolving into a true folk tradition, however, with songs learned orally that are undergoing the "folk process" of change in melody and text. Folkies is the popular term for folk music enthusiasts. While the term itself is neutral, and is used by some folk music enthusiasts in an informal and friendly manner, it has at times been used by the popular press at least since the late 1950s, as part of a light-hearted beatnik stereotype.